Obama most admired man in the U.S. – for 10th year in a row. Former President Barack Obama and former Secretary of State Hillary Clinton remain the most admired man and woman in the United States — a 10-year trend for Obama and 16 years running for Clinton. FREE e-Book! Download the original story. 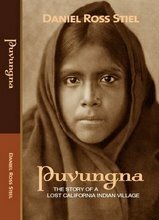 Puvungna is a coming of age story set in the 1960s about two young brothers who set aside their differences long enough to re-discover the remains of an ancient Indian village along the shores of a Southern California beach and the secret behind its disappearance over five hundred years ago. Inspired by a true story. Enter your email address to subscribe to Puvungna and receive notifications of new posts by email.